We’ve been hard at work improving our features so you can grow your business. Check out what we’ve been working on. We’ve partnered with Zapier, Apiant and Automate.io to integrate and showcase more than 100 new applications. Whether you’re adding subscribers from your eCommerce store, leads from your website, or students from your online course, integrating your favorite apps with AWeber should be simple and flexible. Last month, we released a feature to help you search for subscribers with no opens, any opens, and any clicks since a certain date. Now we allow you to search before a certain date, enabling you to search for active or inactive subscribers within a range of two dates. Now you can see all of your subscribers’ tags at-a-glance with our mobile app, Stats. Adding tags when a subscriber joins your list, opens emails, or clicks certain links helps you learn more about each person you’re communicating with via email. With Broadcast Automations, you’ve had the ability to add a tag when a link is clicked. Now, you can also, remove tags when a link is clicked, add tags when the email is opened and remove tags when the email is opened. Earlier this year, we released an update to your confirmation email’s design, which introduced an HTML button. Now, you can now select “Confirm my subscription,” “Confirm my request,” or “Confirm my email.” And the best part, these alternate call-to-action buttons are also compatible with our confirmation email language options. You can now automate and segment like a pro without the hefty costs and clunky interfaces that other all-in-one tools might offer. We improved a few of the key features of any drag-and-drop editor to improve your creation process: when the dragging and dropping look for a new indicator to show you exactly where the selected element will drop as you move its location, your email now maintains it’s layout until you actually drop the element where you want it and there’s also a faded placeholder where the element began. Easily select variables based on their category using this menu. You can also create our own custom snippets in list settings, which will appear in this menu. 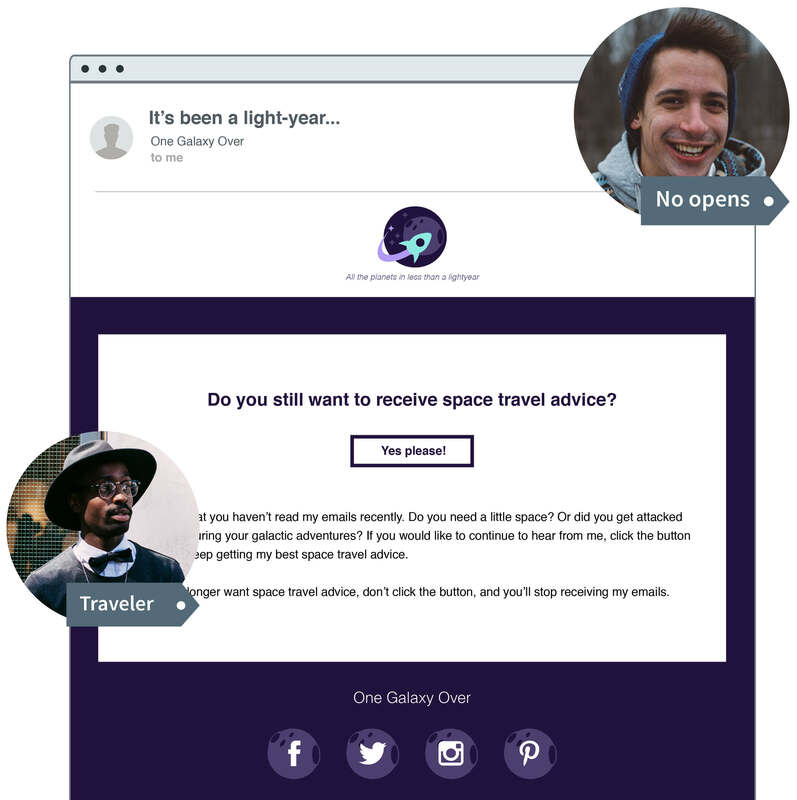 Using the brand-new survey template, you can utilize 4 different survey types directly within your emails. View your results through QuickStats and create smart segments based on your subscribers’ responses. With Curate, you can collect and share content from around the web, or draft your own content using a simple editor. Now, when creating a message you can schedule it to be sent at a later time. For marketers that prefer to use confirmed opt-in (COI), you can now send your COI message in various languages. If you know your audience will prefer a specific language, select that language to provide more clarity on how they can confirm their email address. 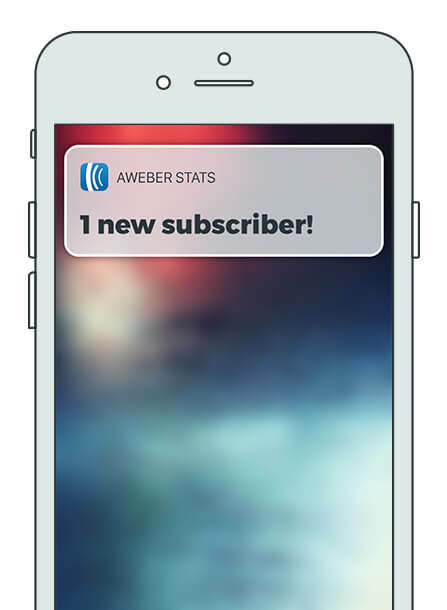 To celebrate each new connection, use push notifications in AWeber’s Stats app to elect to receive a notification on your mobile device when a new person subscribes. You can also configure your notification settings based on your preferences: get notified in real-time, hourly or daily. 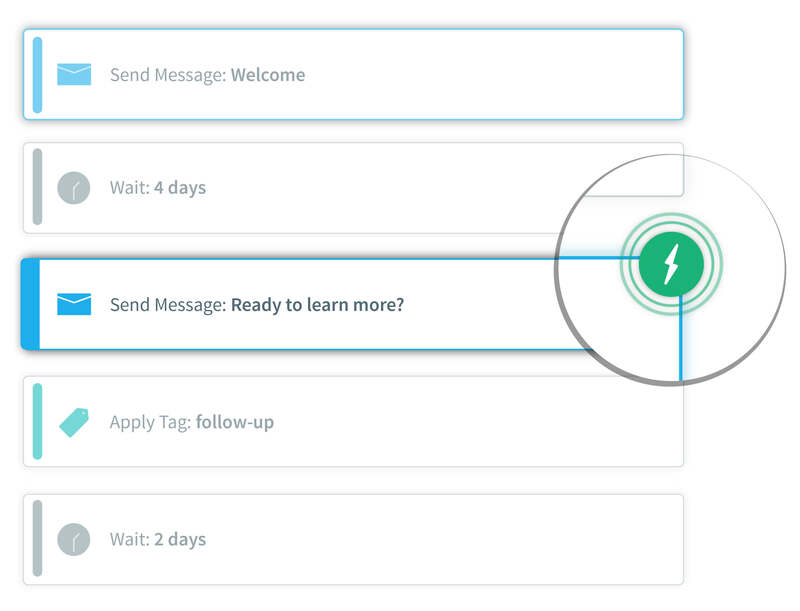 With the release of Open Automations in AWeber, you can tag subscribers who open your messages in Campaigns. This opens up new opportunities to segment subscribers, trigger automated re-engagement emails and build the perfect marketing funnel. 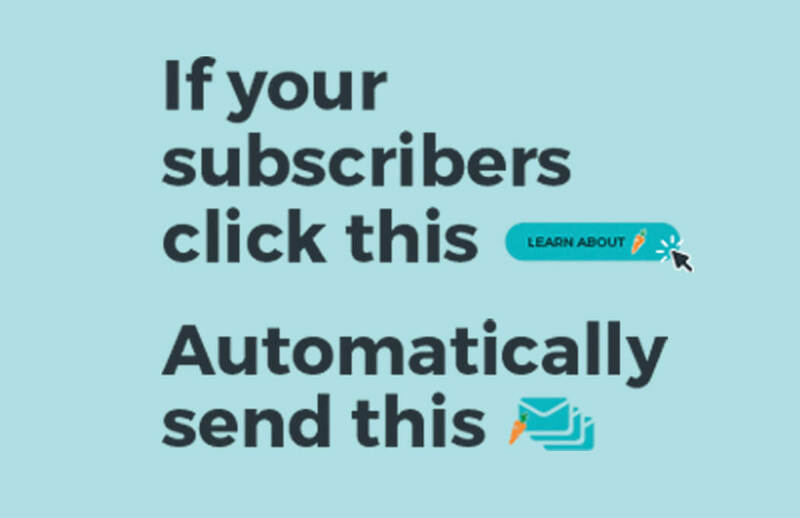 Now you can let AWeber’s Campaigns do the work for you, creating dynamic segments and automatically sending relevant content based on the links your subscribers click. You can apply specific tags (or labels) to each of your subscribers (based on things like whether they are a customer or prospect, where they signed up, interests, geographic location, etc.,) in order to send targeted broadcasts and trigger campaigns. Now, you can automatically update subscriber segments based on tags. AWeber integrates with hundreds of custom applications to help you grow your list and send automated email sequences. We’re excited to share even more applications that support tagging your subscribers in AWeber, which will allow you to better segment your audience, send targeted one-time broadcasts to the right people at the right time and also trigger targeted automated campaigns.